Football advertising has seen it’s share of great and not so great ad campaigns over the years – but when done right, football ads have the capacity to unite, engage and build common ground with football fans worldwide. No other sports gives you the sort of global access that football can, and as a result, a football ad (be it Betfair or Nike) can reach far more people than your run-of-the-mill product ad spot. In the Always Sunny in Philadelphia episode “Paddy’s Pub: Home of the Original Kitten Mittens”, the gang tries to come up with various marketable products in an attempt to build the Paddy’s Pub brand. The Problem: Budweiser’s sales were down 9% last year and are down another 9% this year. The brand’s been losing customer loyalty consistently over the past 5-10 years, as can be seen in their ranking among national product brands – which slipped from 16th in 2003 to 220th in 2010. The Reason: The major beer drinking age demographic, 21-34 year olds, consists of ironic hipsters and testosterone-challenged “progressives” who are switching to microbrews, wine, and abominations like Smirnoff Ice in droves. In fact, microbreweries specifically have more than doubled their production since 2004. In the lead-up to and in the wake of Michael Jordan’s big Hall of Fame induction weekend and the (disturbingly petty) speech he gave during it, Nike has been pushing these “Leroy Smith” viral videos. Question is, Who is Leroy Smith? Honda’s new commercial for the 2010 Insight has a deceptively simple appearance. A series of shapes and patterns flash across what looks like an old Lite-Brite set, or maybe an LED panel, or perhaps even just a series of computer generated dots on the screen. It’s nice to look at and nice to listen to, due to the pretty music playing along. Simple and nice. The interesting part is that the flashing dots are actually the flashing headlights of 1,000 actual Honda Insights. One thousand full sized automobiles, arranged in a gigantic grid in such a way so they appear to be a perfect rectangle from the camera’s vantage point. LaSexta is the sixth nationwide broadcast television station in Spain and, starting this year, the only channel in Spain that broadcasts Formula 1. So they commissioned the creative agency Kotoc to make some intro spots and they came out really nicely. My only complaint is that the ships don’t look like their going fast enough. Other than that, the pod racer feel of the whole thing is pretty interesting and the look is definitely nice. 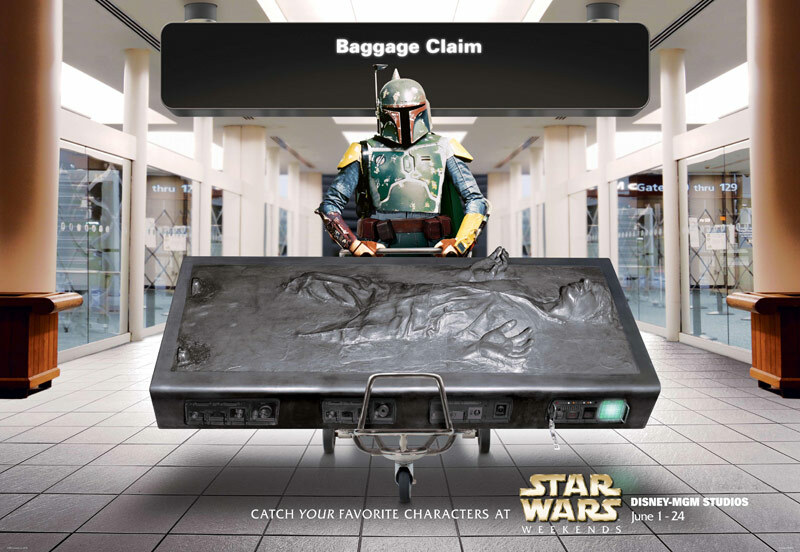 This is a new feature on AdSavvy, it’s called “Best Ad Ever”. And keeping with our extended overuse of hyperbole, we’ll have a new one every week, or every day. I’m not sure yet. Maybe it won’t be back. Whatever. Little Mac is back. After fifteen years, he’s ready to reclaim his title as W.V.B.A. champ. Fake documentaries are so ‘in’ right now, and this one is excellent. Well played Nintendo, well played. PS- I’ve had the above website in my browser for the past hour and a half. I can’t stop listening to the theme music. The newest of Intel’s “Sponsors of Tomorrow” ad campaign, “Intel Star”, captures the concept of geek chic well. USB co-inventor Ajay Bhatt hits the cafeteria and is welcomed as the rock star that he is. This ad should hit Intel’s target audience directly in their giant brains. Rock that cafe with your bad self, Ajay, rock it. M&C Saatchi has created a beautiful ad campaign for Sharp’s new series of high end air purifiers called the Plasmacluster, just in time for the sickness season and the swine flu. 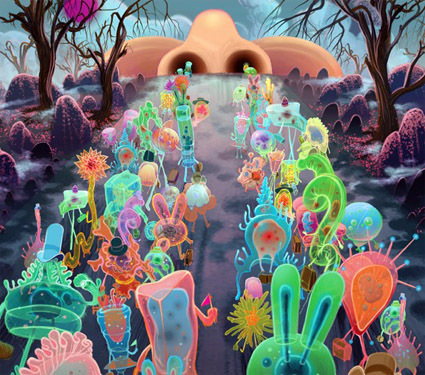 The ad shows a parade of bizarre bacteria, with visible organelles, all marching right up a giant nose.